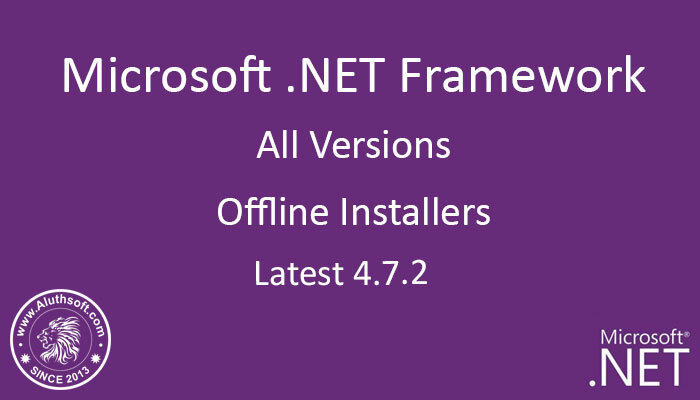 .NET Framework කියල කියන්නේ මේ වෙද්දී නැතුවම බැරි software එකක්. මේ ගැන හොදට දන්නවා programming කරන අය. අපි පරිගණකයට ස්ථාපිත කරන ගොඩක් Software develop වෙලා තියෙන්නේ .NET වලින්. ඒ හින්දා මේ software run කරන්ඩ නං අනිවම .NET Framework install වෙලා තියෙන්ඩ ඕනේ. Windows 8/8.1/10 වල .NET Framework 3.5 default install වෙලා නැ. අපි manually install කරගන්න ඕනේ. මේක Internet ඇතුව හ නැතුව දෙඅකරයටම කල හැක. .NET programming වලටද .NET Framework අවශ්‍ය වේ. නමුත් මෙය අන්තර්ජාලයෙන් download වන්නේ Online setup එකක් ලෙසය. 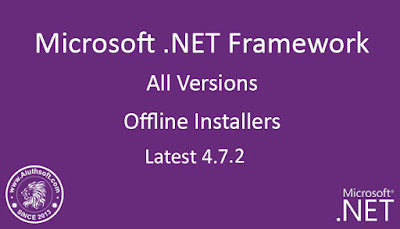 ඉතින් අද මන් ඔබට දෙන්නේ .NET Framework 1 සිට 4.6.2 දක්වා offline installers ය. ඔබට අවශ්‍ය setup ඒක පහලින් download කරගන්න.